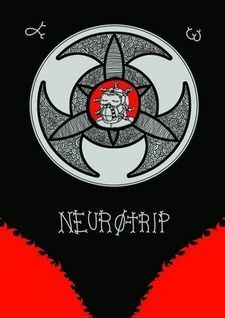 Anthology of Illustration and comic by Neuro , Romanian writer living in Copenhagen who began his artistic career with the group "The Church" in an iconoclast search. Because of its orthodox roots Neuro explores the images of Christendom, mixing quotes from Terence McKenna, parasitic superheroes, bacterial wicks, freak decorations proving to who did not know that nothing is sacred in the Millennium of Broadband. This is his first book, a true meta-portfolio of hallucinatory images.